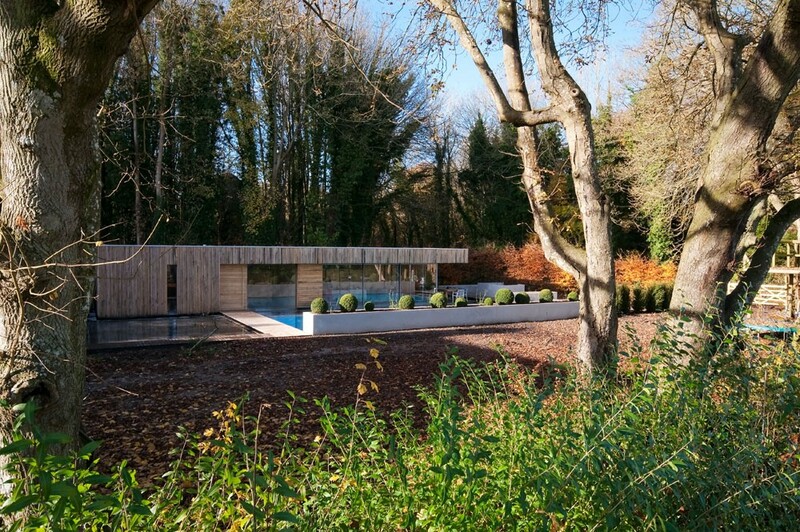 Our client had bought a large traditional Victorian Cottage in a beautiful and secluded part of the countryside which was surrounded by farmland and trees. 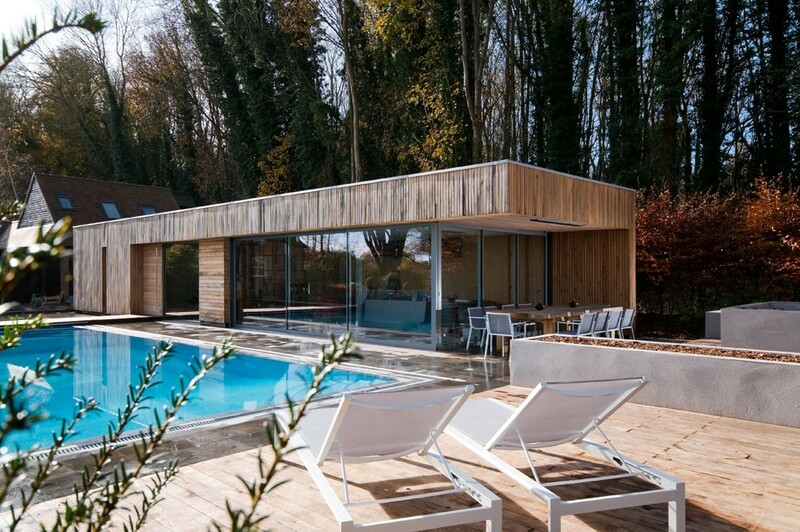 Adam Knibb Architects (winner of a LEAF Award for this project) had designed a modern, contemporary pool-house sitting beside a pool. This gave the family additional space to use in a vast array of ways all year round and day or night. 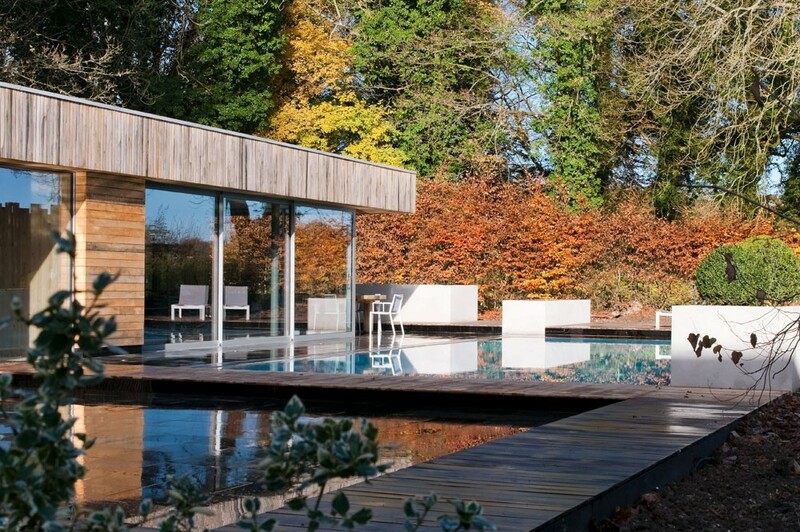 We were asked to spend a day with them in consultation to discuss design and planting options that would enhance the areas around their house and stunning new pool and pool house. 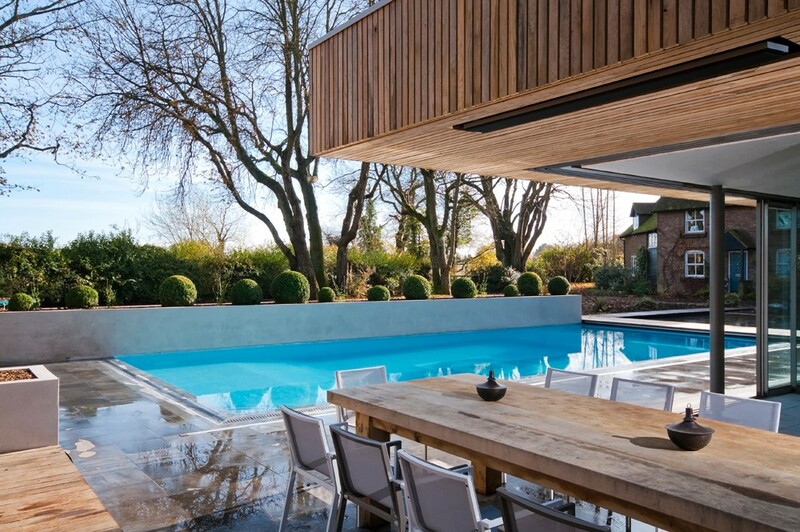 The London Gardener suggested various planting and design options which would balance the strong architecture of the newly built pool house and dovetail with that of the more traditional style of the house. 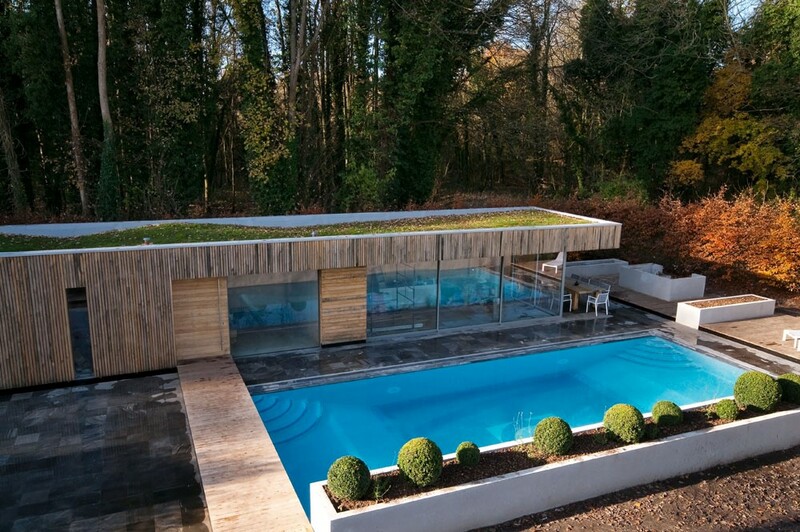 These included Buxus balls of differing sizes to contrast with the linea design of the new pool house. Scented Narcissus and Queen of the Night Tulips were woven between, with tall Verbena for summer and autumn interest. 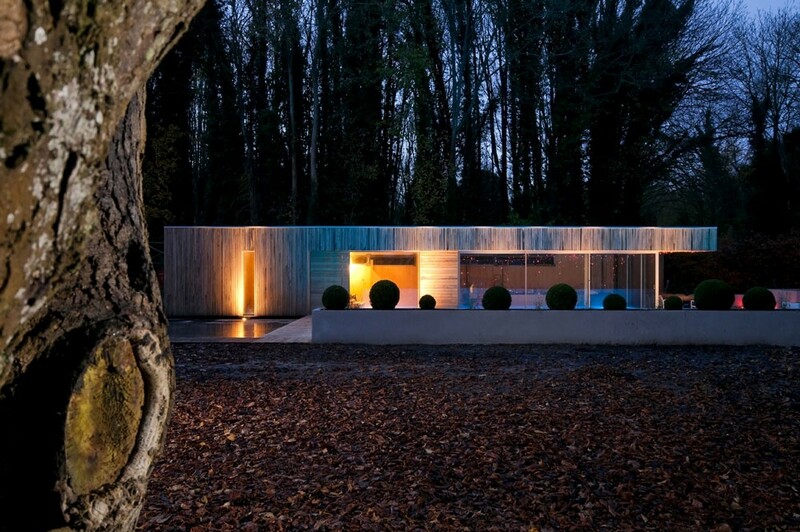 Taxus hedging was installed to give a degree of privacy and as a foil for contemporary sculpture.